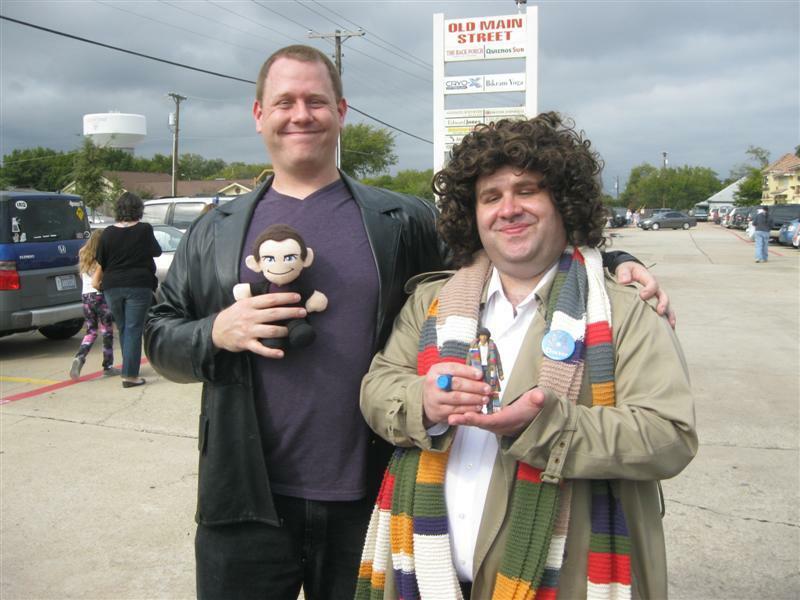 Last year, I went to The British Emporium's annual Doctor Who Day event. This year, despite being a bit tired after a long weekend of shadowcasting shenanigans, I went back again and was pleased to note a much larger crowd than last year - no doubt due to excitement over the upcoming 50th Anniversary of the world's longest-running science-fiction television series. 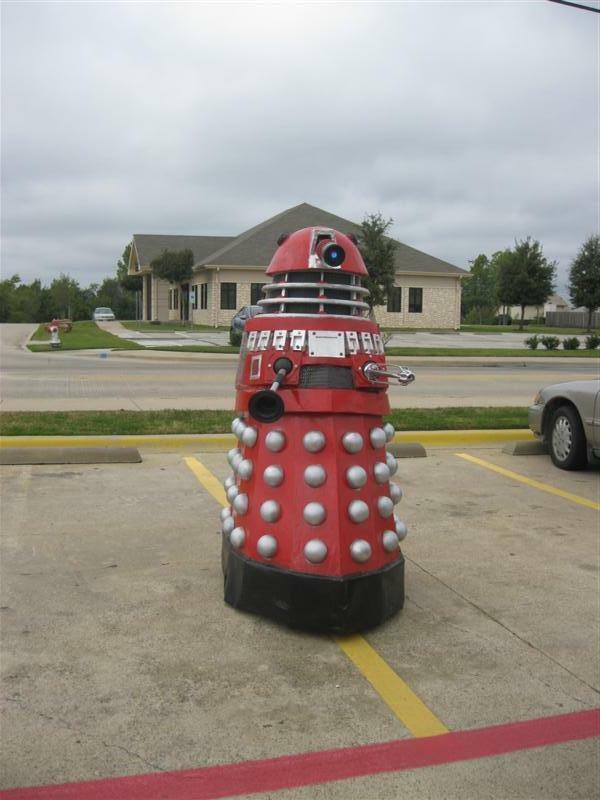 Derek The Red Dalek is a fixture among DFW conventions and was on hand to pose for pictures. People cosplay for many reasons. 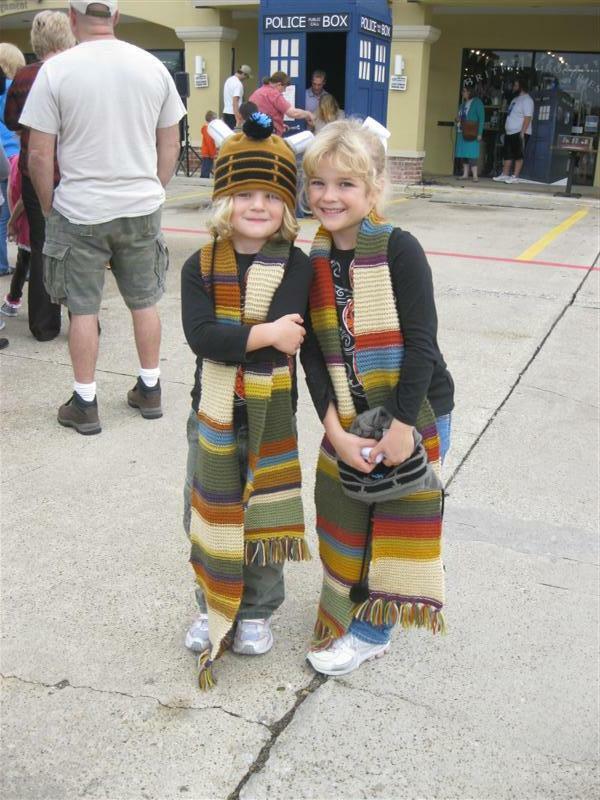 One of mine is the look of joy on children's faces when they see their hero (or a reasonable facsimile) in the flesh, like when these two little Whovians saw me and shyly asked for a picture. Naturally, I asked them if they'd like a Jelly Baby... assuming their mother had no objection. 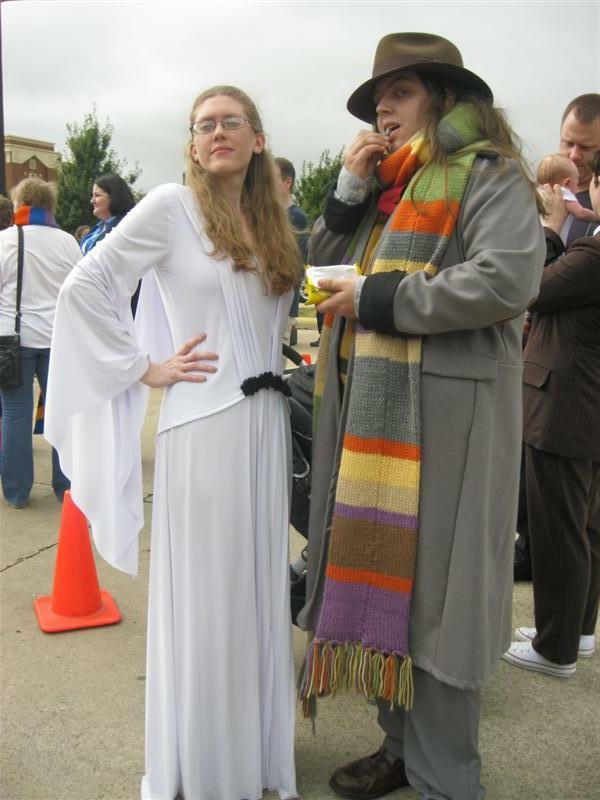 Pro Tip for Fourth Doctor cosplayers - always ask the parents first if they can have a Jelly Baby. 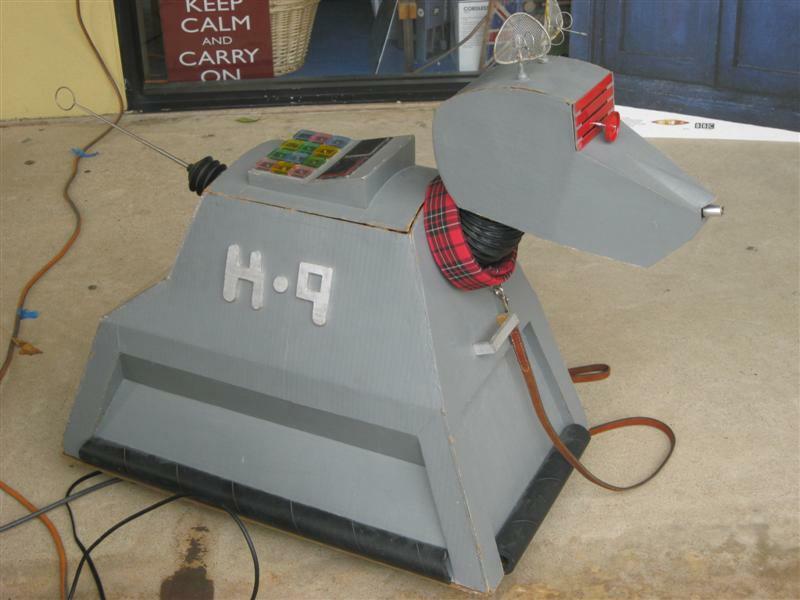 Alas, the days when a madman with a blue box could offer children candy without being looked on strangely are gone. 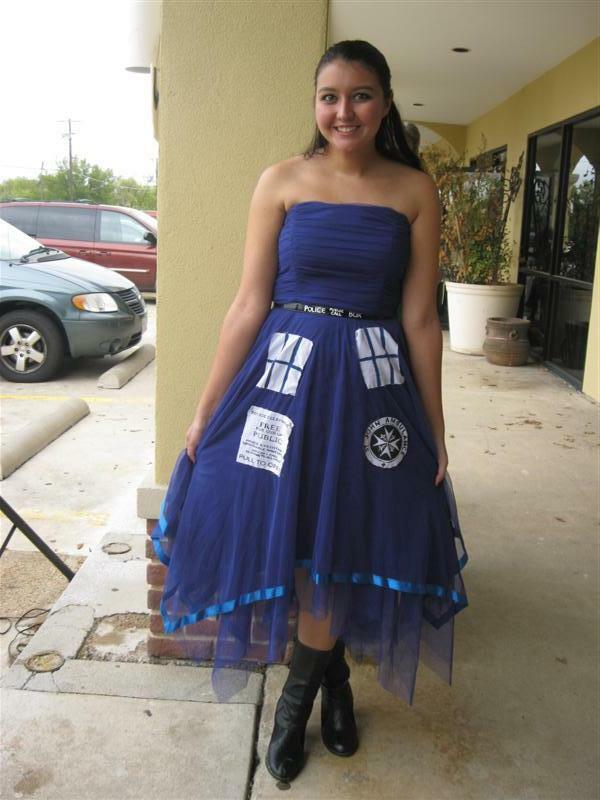 There were many women in excellent TARDIS dresses. For my money, I think this was the most elegant. 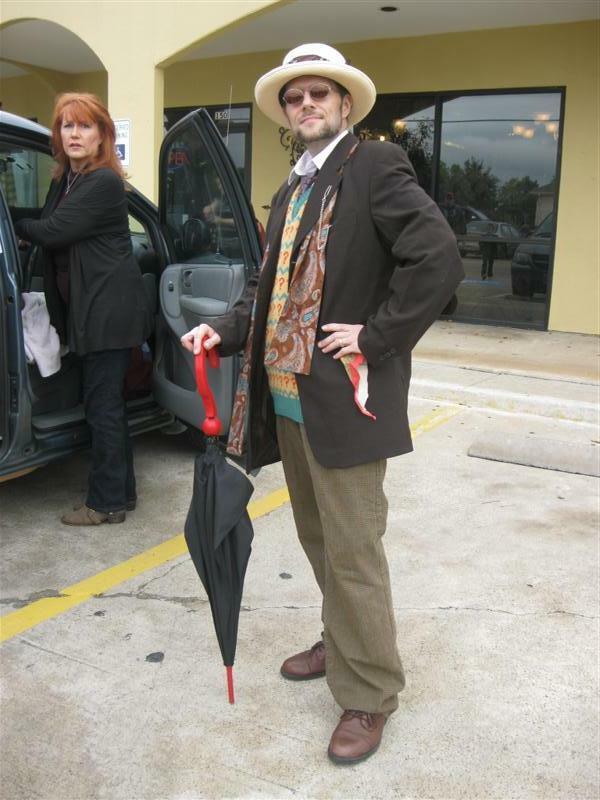 A rare Seventh Doctor cosplayer, caught on film in the wilds of downtown Grapevine. One of the more interesting bits of merchandise on display: a vintage classic Doctor Who chess set. You get your choice of seven kings for the white side, of course. K-9 also put in an appearance but did not sign autographs. Not because he's a prima donna but because he had no way to hold the pen. Another Fourth Doctor and his TARDIS. I loaned him my sonic screwdriver for a photo-op after someone handed him a Tenth Doctor model so he could fight Derek The Dalek. These things must be done right, after all! 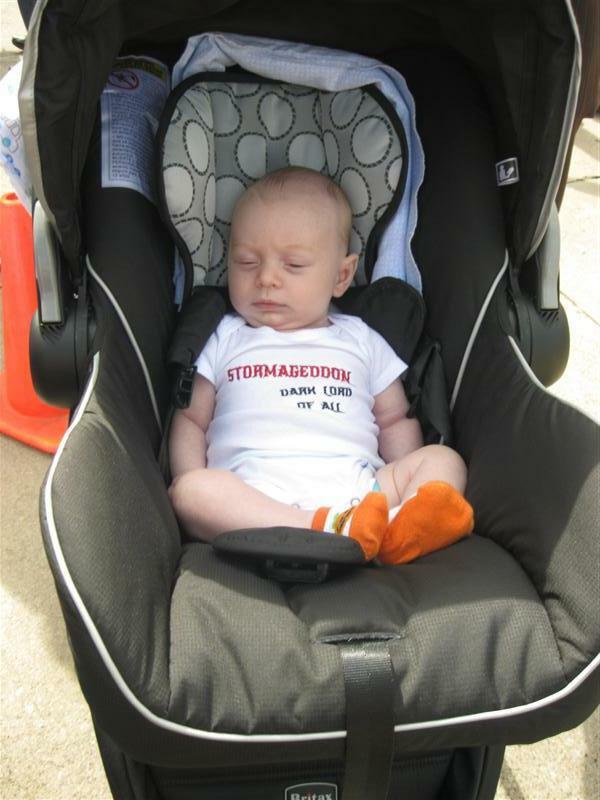 There were several babies in costume in attendance, but this was my favorite. The one Ramona in attendance. 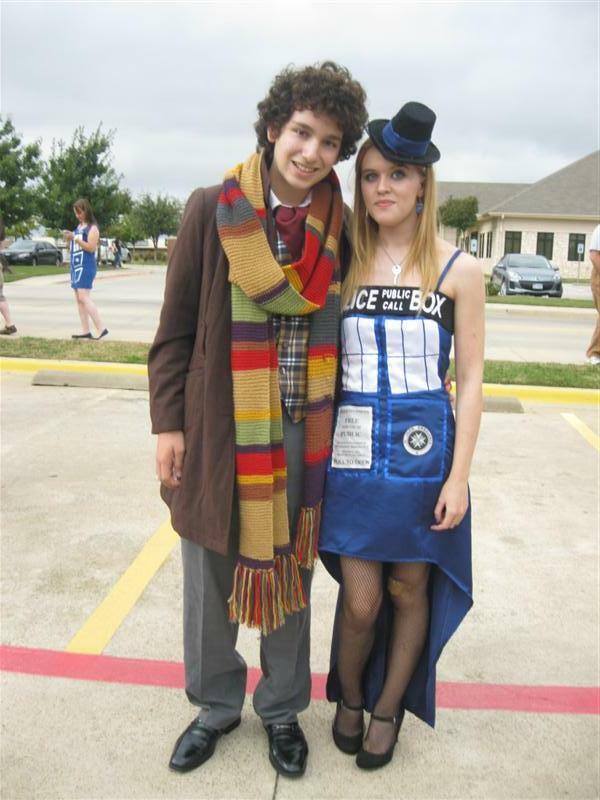 With her is my friend Zander in his Fourth Doctor costume. The Second Doctor. 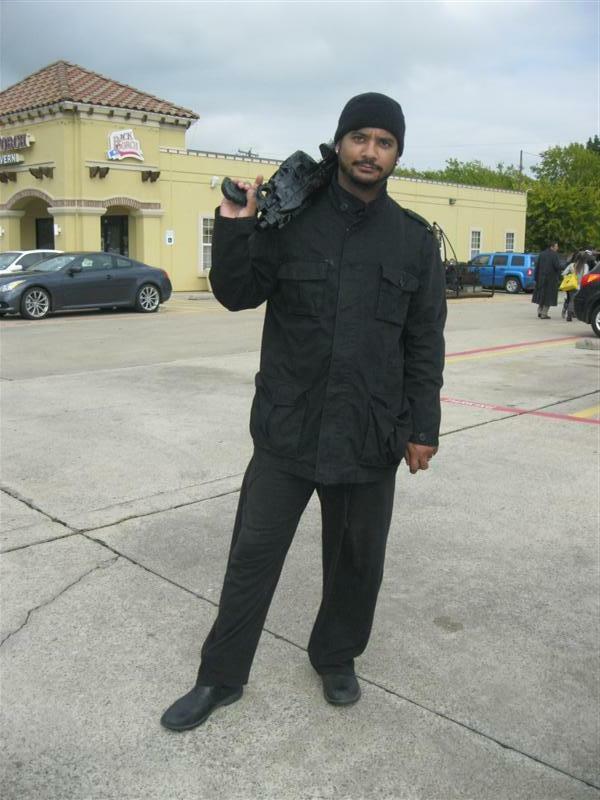 Shockingly, he was largely unrecognized. Hopefully that changed after the event's episode screening, which the recently recovered Second Doctor story Web Of Fear. 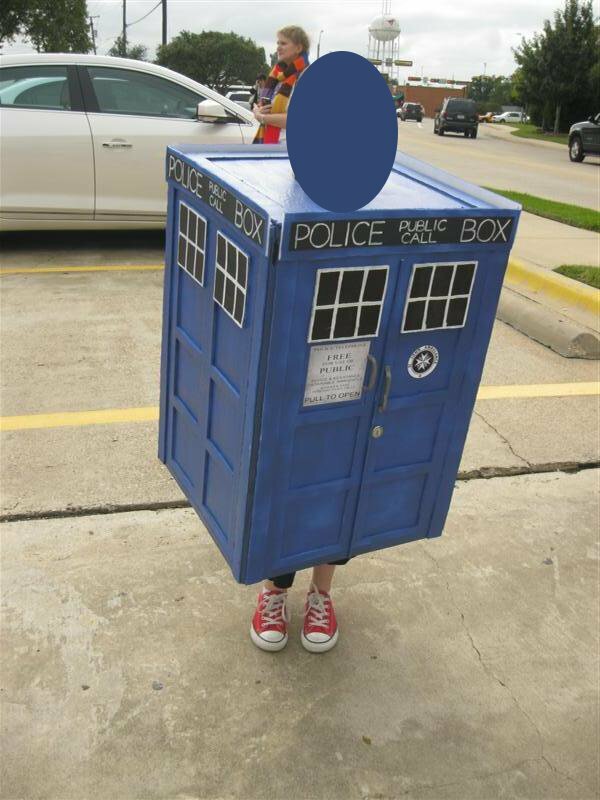 This TARDIS later won the costume contest for young ladies under 13. Note the Tenth Doctor trainers. Mickey Smith, shortly after winning the costume contest for Best Companion. Nice to see Mickey getting some love for once. He truly deserved better than he got. A pair of Docs and their Mini-Mes. It was a fun day for all and much fun was had. Other pictures of the event can be found on The British Emporium's flickr account, including a very zen picture of me taking the above picture of the other Fourth Doctor. 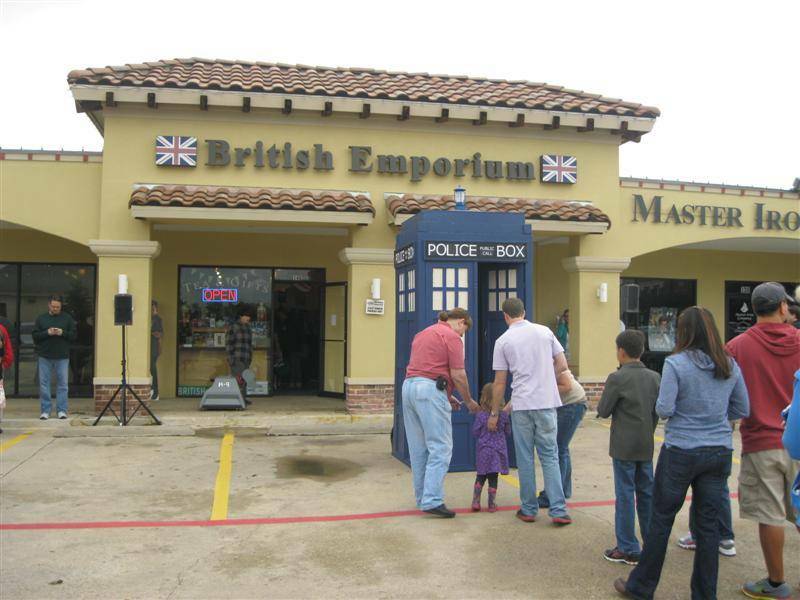 And if you live in the Dallas/Fort Worth Metroplex you should definitely make a journey to downtown Grapevine to see the wonders that The British Emporium has to offer.